Though few in number, the faculty and staff at the Spencer S. Eccles Health Sciences Library (EHSL) ensured that we continue to punch above our weight class in 2018. We made great strides in every aspect of our mission. 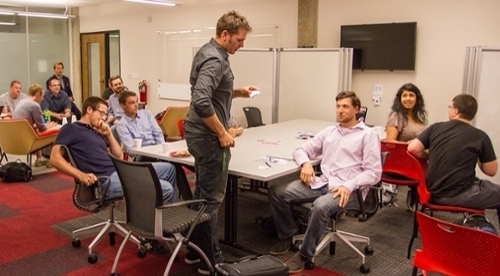 We also enjoyed facilitating many of the research activities throughout the University of Utah. Neuro-Ophthalmology Virtual Education Library (NOVEL) is a discipline-specific, open-access repository of digital materials. Moran CORE is an open source collection of ophthalmology education materials. It includes the Basic Ophthalmology Review for training medical students and non-ophthalmologist health professionals. We are also working with the International Council for Ophthalmology to build an international curriculum as part Moran CORE. Dermatology Educational Resources and Modules (DERM) is currently in development and will include a dermatology-related curriculum and learning object repository. EHSL plays a dual role in research, facilitating research by others and also conducting our own research to evaluate our methods and the impact of our services on the University of Utah and local community. As the result of requests from University of Utah Health leadership, EHSL librarian faculty are developing a new service line for the clinical and allied health communities. In collaboration with system executives, clinical and allied health departments, the Epic team, and bioinformatics, EHSL librarians will provide dynamic, integrated information support at the point of care. EHSL added three new faculty in 2018. These include Catherine Soehner, BSN, MLS, as Interim Executive Director; and two assistant librarians, Nena Schvaneveldt and Shawn Steidinger. During 2018, seven EHSL faculty and one staff member won national awards through the Medical Library Association, the Utah Society for Health Sciences Librarians, and the North American Neuro-Ophthalmology Society. EHSL convened a campus-wide meeting regarding virtual reality and other emerging technologies with regularly scheduled meetings to establish collaborations and continue to find unique ways to serve the university. We are collaborating with the Marriott Library to distribute and analyze data collected from surveys of immersive and interactive technology-enriched spaces at the University of Utah. As part of our NIH grant, EHSL supports the work of Community Faces of Utah to develop a model for building public library-community collaborations with diverse communities. The model will support community usage of libraries and library programs as sources for health information. We define “health” as the Seven Domains of Health – physical, emotional, environmental, social, intellectual, financial, and spiritual (Frost & Digre, 2016). 2018 was an exciting year for us at EHSL. We look forward to continued growth in the new year. In doing so, we remind our colleagues throughout the University of Utah and the scientific community of our commitment to help advance every aspect of health sciences scholarship and practice. See you in 2019! 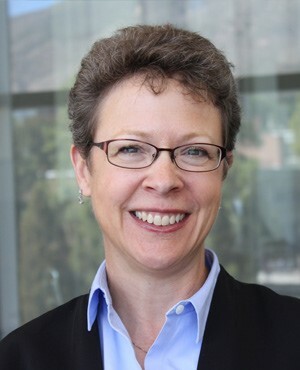 Guest blogger Catherine Soehner is the interim executive director of the Eccles Health Sciences Library and the the Associate Dean for Research and User Services at the University of Utah’s J. Willard Marriott Library. 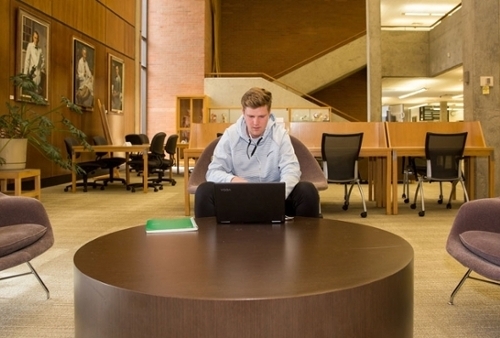 Soehner has led delivery of a wide range of library services, including research and information services, and support for faculty, graduate students, and other advanced users in digital scholarship.